The Civil War is often to referred as the first "modern" war in history as it included the most advanced technology and innovations of warfare available at the time. Some of the innovations and advances of the Civil War included mass production of war materiel, rifling of gun barrels and the use of the Minié ball, the advent of repeating firearms and metallic cartridges, ironclad warships, advances in medicine, communication (especially the telegraph), and transportation (railroads), and the gradual decline of tactics from previous centuries. Model 1832 foot artillery sword Issued to artillerymen. Based on the Roman gladius. Model 1833 Dragoon Saber Issued to the US Cavalry. An engraved version was privately purchased by senior officers. Model 1840 Light Artillery Saber Issued to mounted artillery. Model 1840 Army Noncommissioned Officers' Sword Issued to infantry sergeants. The Marines had their own version. M1860 Cutlass Issued to naval boarding parties. Sailors also had access to axes, harpoons and grappling hooks. Model 1850 Army Staff & Field Officers' Sword Regulation officer's sword, though in practice most officers used cavalry sabers. Southern officers sometimes carried ancestral blades from the War of 1812 or even the American Revolutionary War. Mameluke sword Carried by Marine officers. Bowie knife Often carried by Confederates instead of bayonets, including the Arkansas toothpick which could be used as a sword in combat, a hatchet to chop wood, a razor and a paddle for emergency river crossings. In 1862, Joseph E. Brown , governor of Georgia, proposed issuing pikes to the State militia to compensate for the shortage of guns. Thousands were made and issued but not known to have been used in combat. Adams Revolver A double-action-only revolver and predecessor to the Beaumont–Adams. Beaumont–Adams Imported by both the Confederacy and the Union. Colt Army Model 1860 A .44 caliber revolver made for the US Cavalry to replace the heavier Colt Dragoon Revolver. The Bessemer steel process invented in the 1850s made a lighter stronger pistol in .44 caliber possible. Colt 1851 Navy Revolver Colt's most popular pistol for the 1850s Civilian market in .36 caliber. The name 'Navy' came from the cylinder of the revolvers bring engraved with a scene of the victory of the Second Texas Navy at the Battle of Campeche on May 16, 1843. The preferred weapon of the Confederacy. Copies such as the Griswold & Gunnison were made all over the South. Colt Police Colt 1862 .36 caliber pistol originally made for the New York Metropolitan Police Dept. Colt Root The first of Colt's revolvers to use a "creeping" loading lever mechanism. Colt Pocket A popular revolver that was never officially issued but was often bought privately. Colt Dragoon Revolver Issued to the US Cavalry. A heavy .44 caliber pistol invented during the Mexican War and designed for killing the mounts of charging enemy troopers. Colt Walker A .44 caliber revolver that was developed into the Colt Dragoon. Colt Paterson The first true revolver produced by Colt in 1836. Moore's belt revolver A seven-shot revolver firing the .32 teat-fire cartridge. Remington Model 1858 Colt's chief competitor, the Remington Repeating Arms Company, also made revolvers during the Civil War. The most common was the Remington Model 1858 New Army in .44 caliber. The .36 caliber version referred to as the Remington Model 1858 New Model Navy. Smith & Wesson Model 1 Used as an alternative to the Colt and Remington. These usually fired brass rimfire cartridges. Smith & Wesson Model No. 2 Army A larger version of the Smith & Wesson model 1 and chambered in .32 caliber rimfire. Starr revolver A double-action revolver which was briefly used in the western theater of the war, until the U.S. Ordnance Department persuaded Starr Arms Co. to create a single-action variant after the discontinuation of the Colt. The company eventually complied, and the Union acquired 25,000 of the single-action revolvers for $12 each. Savage 1861 Navy A "proto double-action" revolver with a second trigger underneath the first. Used by the Navy and a few Army regiments. Tranter revolver The first model also had a proto double-action with a second trigger underneath the first. But in a later model this was reduced to a single trigger that could work with both single action and double action. Kerrs Patent Revolver A five-shot back-action revolver made by the London Armoury Company was used by Confederate cavalry. LeMat Revolver Perhaps the most well-known foreign-designed revolver during the Civil War. It had two barrels, a .42 caliber barrel on top and a 20-gauge shotgun barrel underneath. The creator, a French doctor living in New Orleans, Jean Alexandre LeMat, moved back to France to create more revolvers for the Confederacy. The French-made revolvers, however, proved unreliable and difficult to manufacture. Lefaucheux M1858 A pinfire revolver imported from France by Union and Confederate officers. Butterfield Revolver A transitional revolver with tape primer invented in 1855 by Jesse Butterfield of Philadelphia. Two thousand were ordered by the US Army, but production was canceled in 1862. Spiller & Burr revolver A cheaper version of the Whitney Revolver with a frame made from gunmetal (bronze) instead of iron and the steel in the cylinder was replaced with twisted iron. The muzzle was also rounded instead of having sharp edges. Walch Revolver A very rare 12-shot revolver. Fewer than 200 were made. Walch Revolver A .36 caliber revolver with two hammers. Elgin Cutlass pistol Issued to navy personnel but proved unpopular with the men and was quickly replaced with the M1860 Cutlass. Volcanic Pistol A lever-action pistol made in 1853 chambered in .44 rimfire. Privately owned by those who could afford them. Wesson and Leavitt Dragoon Revolver A large single-action revolver in .40 caliber. Whitney Revolver First produced in 1857, this .36 caliber percussion revolver was the first to be produced with a solid frame, which meant that it was much sturdier than the traditional Colt. Derringers, pepper-box pocket pistols, and small revolvers like the Colt Baby Dragoon or teat-fire were often carried by enlisted men as a backup gun for close-quarters fighting. Single-shot caplock pistols copied from the prewar French model were issued to the United States Navy. These had brass barrels to prevent corrosion. Some Confederate cavalry units were equipped with single-shot percussion cap or even flintlock pistols early in the war. Some pistols were of military make and had been issued to the US Army but were obsolete by the time of the Civil War due to the introduction of revolvers. Springfield Model 1861 The Springfield Model 1861 was the most widely used rifle of the civil war. Springfield Model 1863 A slightly modified version of the Model 1861. Pattern 1853 Enfield The Enfield 1853 rifled musket was used by both the North and the South in the American Civil War, and was the second most widely used infantry weapon in the war. Obsolete Brunswick rifles and caplock conversions of the Brown Bess were also imported by the Confederacy. Pattern 1861 Enfield Musketoon . Lorenz Rifle This Austrian gun was the third-most common musket and was imported by both sides. It fired the same .58 caliber Minie ball as the Enfield and Springfield. M1841 Mississippi Rifle A 2-band rifle with sword bayonet which was issued to Confederate NCOs. Springfield Model 1816 Some of these old flintlocks were converted to the percussion system. Springfield Model 1847 Musketoon . Springfield Model 1855 The Springfield Model 1855 used both the Minie ball and the Maynard Tape Primer system. Fayetteville rifle A Confederate copy of the Springfield rifle. Richmond Rifle Confederate copy of the Springfield Model 1861. Whitworth rifle Mainly imported by the Confederacy as a weapon for sharpshooters. Sharps rifle The Sharps rifle was a falling block rifle used during and after the American Civil War. The carbine version was very popular with the cavalry of both the Union and Confederate armies and was issued in much larger numbers than the full-length rifle. Frank Wesson rifle The Frank Wesson rifle was a breech-loading, metallic rimfire cartridge carbine used during the American Civil War and the Indian Wars. The carbine was used by US Cavalry, typically purchased by state governments or individuals. Colt revolving rifle The Colt revolving rifle was an early repeater which was not favored by the troops because it had a tendency to discharge all of its cartridges at the same time. Sharps & Hankins Carbine Carbines manufactured for the navy that were made with a protective leather barrel cover. Volcanic Carbine The Volcanic Carbine used the same system as the Volcanic Pistol but with the exception of having a stock, a larger lever loop and a longer barrel/magazine. The carbine was never issued but was bought privately. Joslyn rifle The Joslyn rifle was made in both percussion and rimfire configuration. M1817 Common rifle Many of these old flintlock muskets were converted to the percussion system and some of the barrels where even rifled to accept the minié ball. The quality of these conversions vary from manufacturer. Jenks Mule ear Carbine All of these carbines were manufactured for the Navy and the U.S. Revenue Cutter Service. Burnside carbine A breech-loader invented by Ambrose Burnside and issued to the US Cavalry. Tarpley carbine A Southern breech-loader which was not widely produced due to mechanical flaws. Smith carbine Patented by Gilbert Smith in 1857. Henry rifle The Civil War precursor to the Winchester Rifle based on early lever-action rifles made by Volcanic Repeating Arms Co. These highly prized weapons were privately purchased by those who could afford them. Spencer repeating rifle The Spencer repeating rifle was a manually operated lever-action, repeating rifle fed from a tube magazine with cartridges. It was adopted by the Union army, especially by the cavalry, during the American Civil War, but did not really replace the standard issue muzzle-loading rifled muskets in use at the time. The Spencer carbine was a shorter and lighter version of the Spencer repeating rifle. M1819 Hall rifle A single-shot breech loader invented in 1811. A few were used by the Confederacy. Gallager carbine A single-shot breech loading rifle with 17,782 sold to the U.S. Army. The Kentucky rifle is an example of a hunting weapon adapted for military use by Confederate sharpshooters. Early in the war, Confederates used civilian arms including shotguns and hunting rifles like the Kentucky or Hawken due to the shortage of military weapons. The British officer Arthur Fremantle observed that revolvers and shotguns (especially double-barreled models) were the favored weapons of Confederate cavalry and mounted infantry during his 1863 visit to the South. 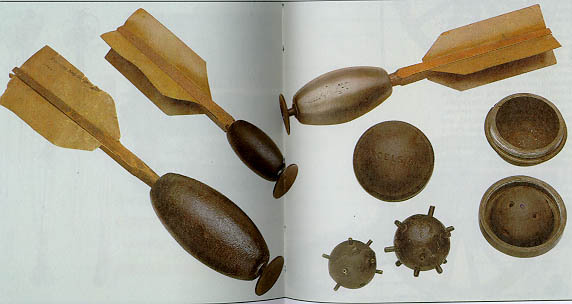 The American Civil War belligerents did have crude hand grenades equipped with a plunger that would detonate upon impact. The North relied on experimental Ketchum Grenades, with a wooden tail to ensure the nose would strike the target and start the fuse. The Confederacy used spherical hand grenades that weighed about six pounds, sometimes with a paper fuse. They also used Rains and Adams grenades, which were similar to the Ketchum in appearance and firing mechanism. Similar weapons included J.D. Mill's Coffee Mill Gun. Like the Gatling Gun, the cartridges of Mill's invention were fed by a hand crank, and this is why some people believe that President Lincoln called it "The Coffee Grinder Gun". Other infantry support weapons included the .58 caliber Agar gun with a hopper on top and steel guard, and the Billinghurst Requa Battery which had eight banks of cartridge chambers that were rotated into alignment behind the row of 25 barrels. Chief of Ordnance, General James Wolfe Ripley was against issuing repeating rifles and rapid-fire weapons to the Union army as he believed it would waste ammunition. Nevertheless, several generals, including General Benjamin Butler and General Winfield Scott Hancock, purchased Gatling Guns. The Confederate used the hand-cranked single barrel Williams Gun and the Vandenburgh volley gun, a volley gun similar to the French mitrailleuse. ^ "Technology in the Civil War". Hackman-adams.com. Retrieved 2012-10-15. ^ "Introduction to Arkansas". Retrieved 2007-06-19. ^ "Georgia Governor Joseph Brown Addresses the Mechanics". Retrieved 2014-04-20. ^ "Dixie Gun Works Spiller & Burr .36 Caliber Revolver". Guns of the Old West. No. Summer 2014. May 16, 2014. Retrieved August 22, 2017. ^ Fremantle, Lieut.-Col Sir Arthur James (1864). Three Months in the Southern States: April–June 1863. Mobile, Alabama: S.H. Goetzel. pp. 36, 39. ^ Battle of 1st Bull Run. Retrieved 3 May 2007. Myatt, Frederick (1994). The Illustrated Encyclopedia of 19th Century Firearms: An Illustrated History of the Development of the World's Military Firearms During the 19th Century. Crescent Books. p. 216. ISBN 0-517-27786-7. Ricketts, Howard (1964). Firearms. Weidenfeld and Nicolson. p. 115. Civil War Small Arms. National Park Service. Accessed 14 July 2008. Weapon: Burnside Carbine. Antietam on the web. Accessed 15 July 2008.